Fall is the perfect time for entertaining. Football games, baseball games, pumpkin carving parties, fall feasts, back to school events and of course Halloween! This time of year I’m always looking for new recipes to bring to events and gatherings and what is better than Avocados? Oh they are so good. I wanted to come up with a recipe that was bite size, easy to eat with your fingers and would be a crowd pleaser. 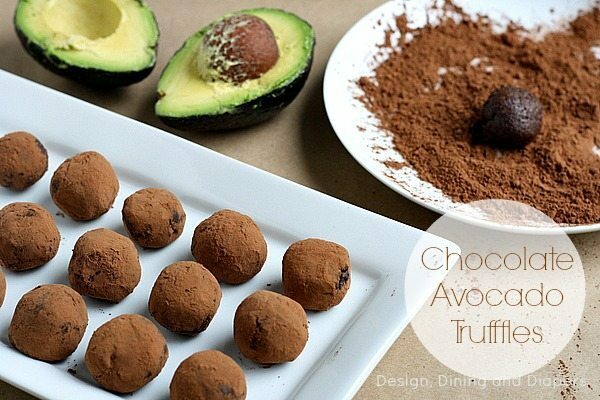 So I decided to merge two of my favorite foods together and make Chocolate Avocado Truffles! I know it may seem like an odd combination, but it is SO good. You don’t taste the avocado, rather it brings a really creamy texture. and to make them even better, they are extremely easy to make! Did you know that just one ounce of fresh Avocados from Mexico has 50 calories and can enhance your recipes with a creamy, rich flavor that contributes nearly 20 vitamins and minerals, making it a good choice to help meet nutrient needs. To make the truffles, cut one large ripe avocado into cubes and then mash it with a fork. 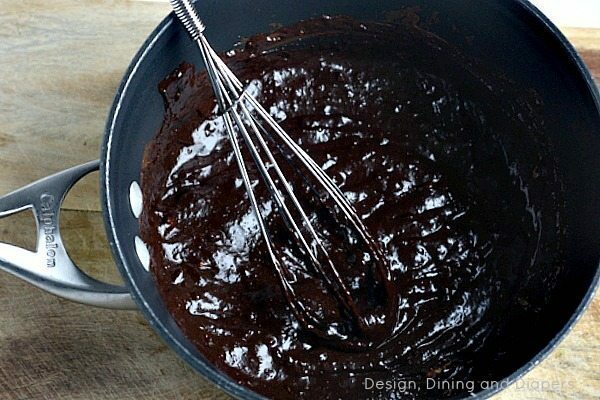 Once the chocolate is melted, mix in the avocado and stir until creamy. Remove from burner and place into a large bowl. Refrigerate for at least an hour. 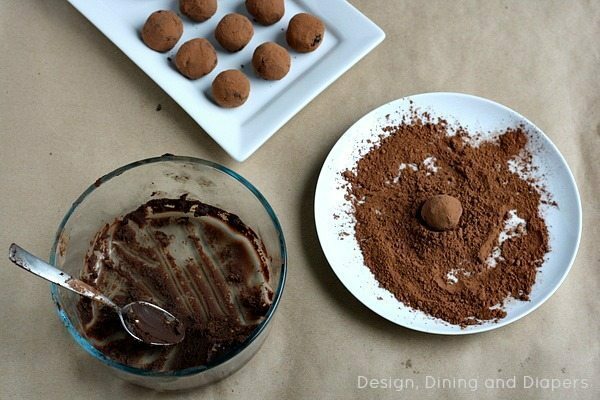 Roll the chocolate into 1″ balls and dip into premium cocoa powder. The perfect treat for your next game day! 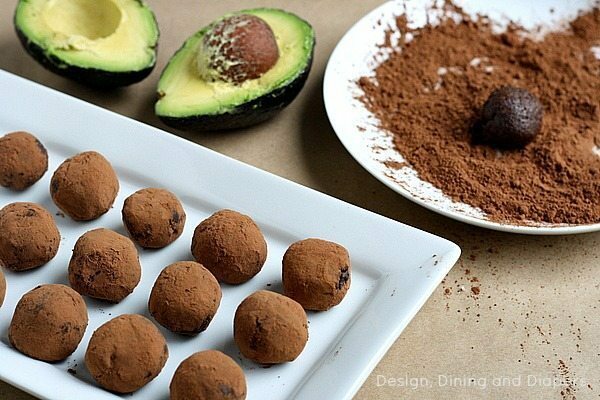 These Chocolate Avocado Truffles are rich, creamy and oh so delicious. They will be the hit of the party. Roll the chocolate into 1" balls and dip into premium cocoa powder. Me and my kids love avocados and this sounds delicious. 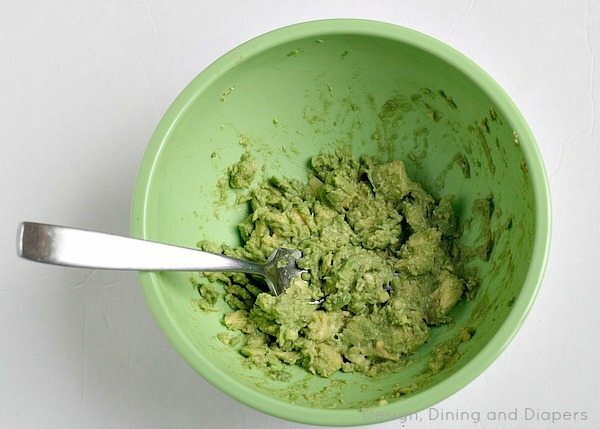 I love them in guacamole, of course! I need to try this recipe, very interesting and sort of a healthier take on truffles. I love avocados in my sandwiches! 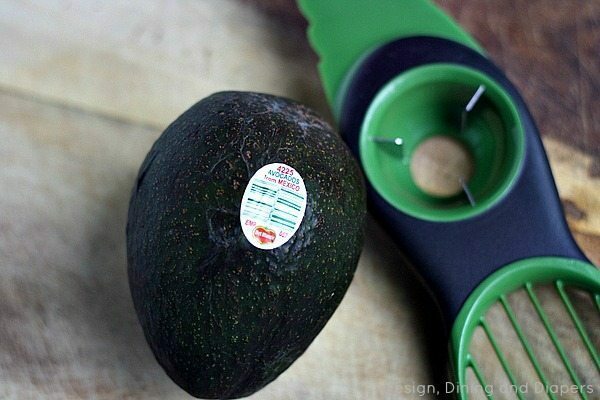 I will make a sandwich with sliced turkey, sliced avocado, and some mayo or mustard on a corn tortilla. The avocado adds some creaminess and makes it unnecessary to add cheese. My baby girl loves it! My fav way to eat avocados is by simply putting a little bit of salt on them and spreading it on a piece of toast. Ooooh, on a BLT. Just add a slice and it makes it even more delicious! This recipe I must try.. Chocolate and avocados one of my favorite combination. This looks like an excellent treat. I would have never thought of making something like this. I just love avocados!! We make a chicken salad with avocados and greek yogurt (recipe adapted from Kalyn’s Kitchen). It’s so delicious!!! Great for weeknights! This sounds delicious!! I’m addicted to avocados. I put them in salads, on my hamburgers, and on top of tacos. I also eat them freshly peeled, can’t resist!! I love avocados. I love them in guacamole, on hamburgers, and on turkey clubs. On sandwiches of any kind! Definitely with eggs. Nothing beats the avocado-egg combo! Wow! This sounds interesting! I love both chocolate and avocado so I’m gonna have to give them a try! This one looks amazing! I love the clicks. Whaaaat? Avocados and chocolate? Now this I have GOT to try!